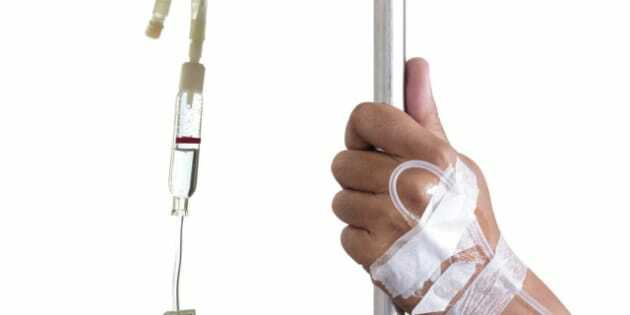 Preparing chemotherapy for cancer patients at Canadian hospitals is potentially prone to errors, say researchers who embedded themselves in the system to see what improvements could be made. Since a cancer patient in Edmonton died in 2006 after an infusion pump was wrongly programmed to deliver a strong dose of fluorouracil over four hours instead of four days as intended, oncologists, pharmacists, nurses and researchers have been searching for ways to prevent a similar occurrence. Now Rachel White, a human factors specialist at Toronto's University Health Network, and her team have adapted an approach that anthropologists use to learn about native cultures. Their aim is to explore how common the sources of error are in hospitals and to find safer options by giving health-care workers on the frontlines an authoritative voice. "We don't want people to be afraid," White reassured patients Tuesday in an interview with CBC News, noting the health care field is full of well trained professionals helping people. "The power of taking the human factors approach is that we have a special lens to look at the world with, and that lens allows us to see problems before they happen." Safety-critical industries like aviation and nuclear plants apply engineering design principles and the research methods of psychology to prevent human errors. White would like to see them applied more in Canadian hospitals. Writing in the Journal of Oncology Pharmacy Practice, White's team concluded that widespread changes in Canadian oncology pharmacies are necessary. For the exploratory study, White and co-author Andrea Cassano-Piche embedded themselves at six cancer treatment centres of various sizes across the country for one week each in 2008 and 2009. They observed and interviewed medical oncologists, oncology pharmacists, pharmacy technicians, oncology nurses and administrative clerks as they did their work. The potential errors they identified wouldn't normally be picked up, so the frequency is unknown, but the impacts are potentially catastrophic. - Working with just one chemotherapy preparation at a time in the hospital pharmacy's safety cabinet to prevent mixing errors. - Keeping the correct label and its bag paired at all times instead of piling orders separately like a short-order cook's. - Having a second person check that the volume and concentration of chemotherapy is correct when drugs aren't available in a ready-to-use liquid form. White praised co-author Dr. Tony Fields, head of Edmonton's Cross Cancer Institute, for his courage in admitting the error and working with colleagues across the country to identify the issues and introduce the changes. A broader 2011 report by the same team reported more than 230 adverse events involving chemotherapy in Canada, though some may have been duplicates. Since then, hospital staff members have received more training on operating the pumps and clearer, pre-printed order forms are now used. A 2004 study estimated that preventable medical errors in hospital contribute to between 9,000 and 24,000 deaths in Canada a year. Other safety measures have been introduced since then, such as surgical checklists.